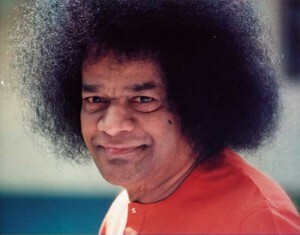 The Patel family was privileged to have hosted Sathya Sai Baba, when He visited East Africa in 1968. This was the only overseas trip undertaken by Him. At that point in time, they had no inkling whatsoever about the role they had to play in His Mission. Over a period of time, life for the Patel family took its series of twists and turns, which moved them to London, to India, to Canada, to Houston, to Westborough, and finally to Shrewsbury in 1993. When they built the house at 35 Thomas Farm Circle, Shrewsbury, little did they know, that it was supposed to play a vital role in fulfilling the thirst of many local devotees for a Sai Center in the Metrowest area..Initially in the late 90s, and early 2000, a group of 9 devotees would regularly meet at this residence, because it was a long commute every Sunday to go to the Boston Sai Center. Slowly and mysteriously, (and it happens today too), Sai devotee families who were in the nearby towns, came to know about this place in Shrewsbury. It was a slow and steady flow of members who started attending these meetings. It was not until 2001 fall, that one of the elders of Boston Sai Center, suggested that the group should officially apply for Sai Center status. Finally, after the normal procedures, in 2002, Shrewsbury Sai Center was officially formed under the auspices of the Sathya Sai Organization of United States. Sai Baba often says : “Show Me your availability, I’ll give you the ability”. Members were increasing steadily and from 9 in year 2000, it was now around 40 or more every Sunday. The need was felt for a bigger place. Again, under divine coincidences, within ¼ mile from Thomas Farm circle, plots of land came up for sale. Things fell into place, and to cut a long story short, the location of 96 Cherry Street, was ready to go, in November 2004, but with unfinished basement. Under the watchful eyes of our Beloved Swami, members joined hands and came together to finish the basement within a deadline of 6 months “weekend” activity. This proved to be a blessing in disguise, as it gave a chance to “practice” human values with each other, thereby moving forward on the Spiritual Journey. On Gurupurnima , July 2013, Shrewsbury Sai Center moved to First Parish Church, Church street , Northborough and is then onwards renamed as Northborough Sai Center.